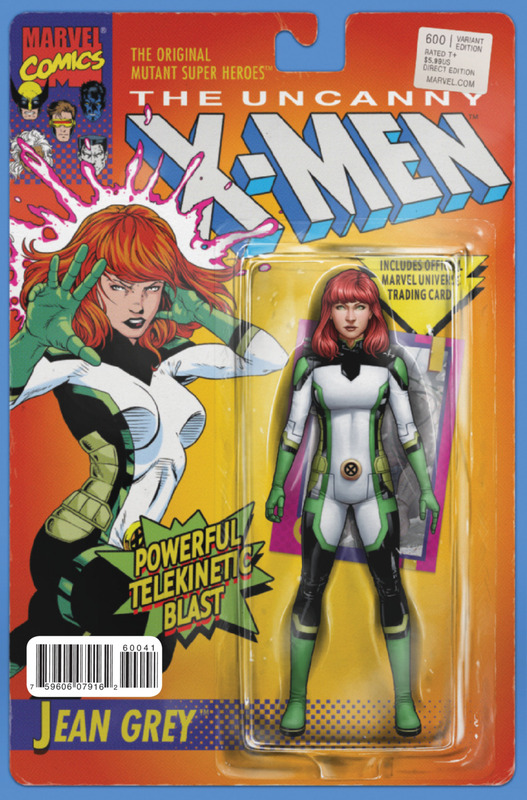 Before diving into the variants, I’d be remiss if I didn’t comment on Chris Bachalo’s regular cover for Uncanny X-Men #600. Bachalo is one of my favorite artists in comics currently and on a short list of pencilers whose work I actively seek out. While his cover for this issue is not the most dynamic image, I appreciate the sheer number of characters he has included (at least 30) and the selection of looks and costumes he’s pulled from throughout the team’s history. 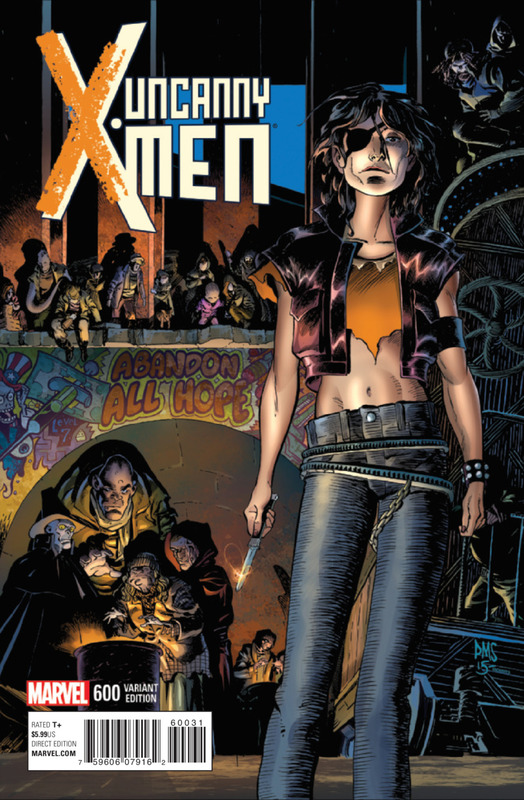 There’s a personal element in play as the featured figures are all tightly connected to Bachalo’s X-Men work throughout his career (e.g. Generation X‘s Chamber, Generation Next Colossus, End of Greys Marvel Girl). There are dozens of variants from across Marvel’s publishing line that make up this this set of covers and while I truly enjoy the idea, they aren’t books I’ve sought out at all. 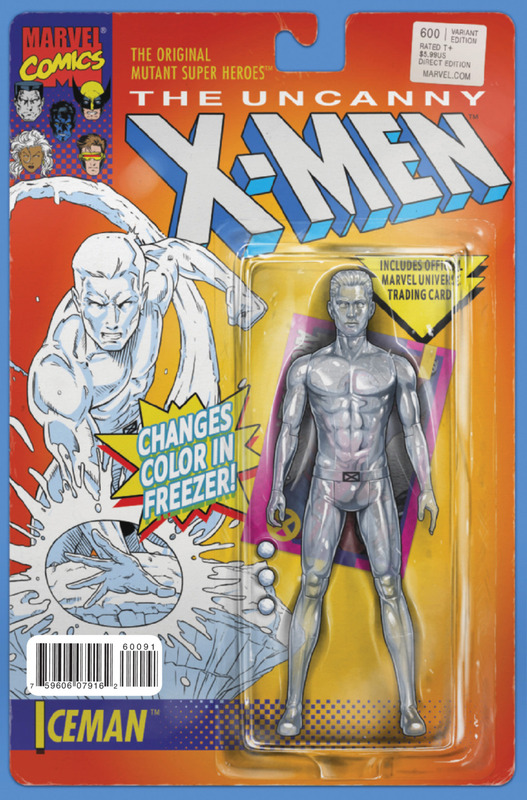 I enjoy that these images match the design of the X-Men toy line from the ’90s, but I’d be more inclined to buy actual figures in this style . The team gimmick is simple and very effective. What I liked most about it is the fact that all variants are available at cover price through Midtown Comics. 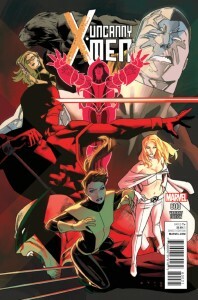 Directly from Joss Whedon’s Astonishing X-Men circa 2004 comes a new image of Cyclops, Emma Frost, Wolverine, Beast, Kitty Pryde, Colossus, Armor and Abigail Brand by Kris Anka. 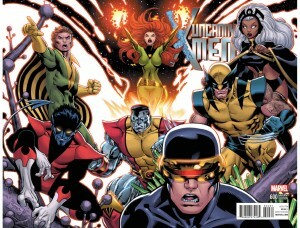 Definitely a high profile team though not one featured in the pages of Uncanny X-Men proper. I’m familiar with Anka’s work primarily from the current volume of Uncanny X-Men where he has alternated story arcs with Chris Bachalo and I’m pleased to see both contributing covers for the series finale. 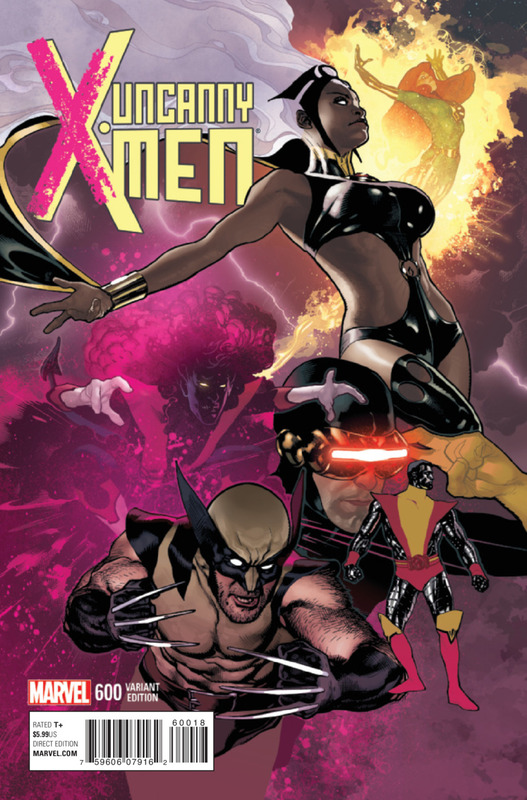 Up next is a cover that doesn’t actually feature an X-Men team at all. Callisto, Caliban, Masque, and Sunder have all had moments to shine outside of the Morlock tunnels, but what makes this cover work is that it’s drawn by Paul Smith. Smith co-created the Morlocks with Chris Claremont in the 1980s in the pages of Uncanny X-Men. Their inclusion in this set of covers is a bit surprising but certainly not unwelcome particularly in light of Smith’s connection to the characters and history on the title. This is easily my favorite cover of the set. It harkens back to an era that I’ll always have nostalgia for and it’s by another of my favorite artists, Olivier Coipel. For a time in the late 1980s, Storm, Wolverine, Rogue, Psylocke, Dazzler, Colossus, Longshot, and Havok operated out of a base in the Australian Outback traveling with the aid of an Aboriginal teleporter named Gateway. Every bit as odd as it sounds, I adore every page published during that era and I love that Coipel managed to include the Reavers, Madelyn Pryor, and Malice on this cover. 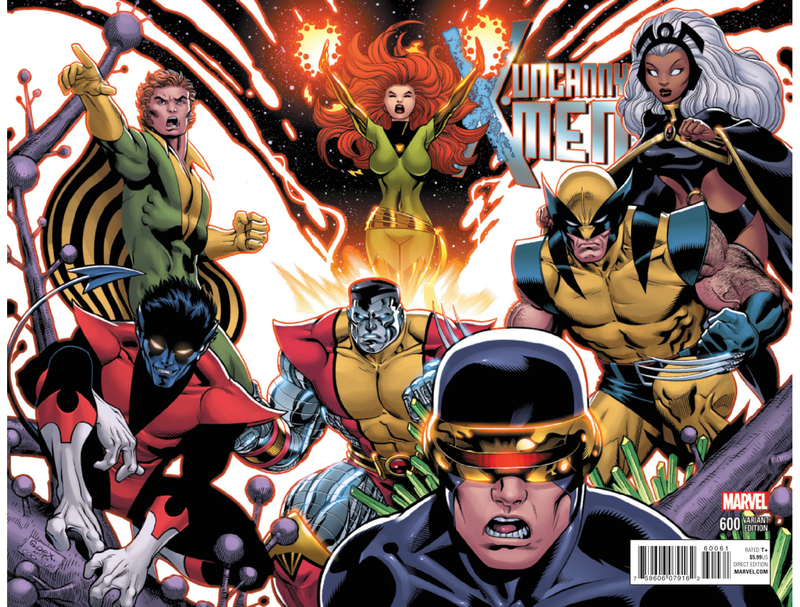 The only wrap-around cover in the set features some top notch work from Ed McGuinness and the very recognizable team of Banshee, Nightcrawler, Phoenix, Colossus, Cyclops, Wolverine, and Storm. It’s a big and powerful image that’s perfectly suited to the team. 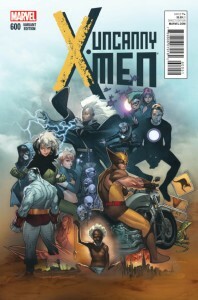 I’m a longtime fan of Art Adams, particularly his X-Men images depicting a large cast of characters (e.g. his cover art for Classic X-Men #1, and this poster featuring the X-Men and X-Factor, and an update of that image bringing in the New Mutants and X-Terminators). 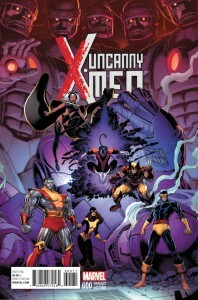 While his cover image here is limited to Colossus, Storm, Nightcrawler, Kitty Pryde, Wolverine, and Cyclops, Adams fills the space with Sentinels, lots of Sentinels, and I’m never going to complain about that. 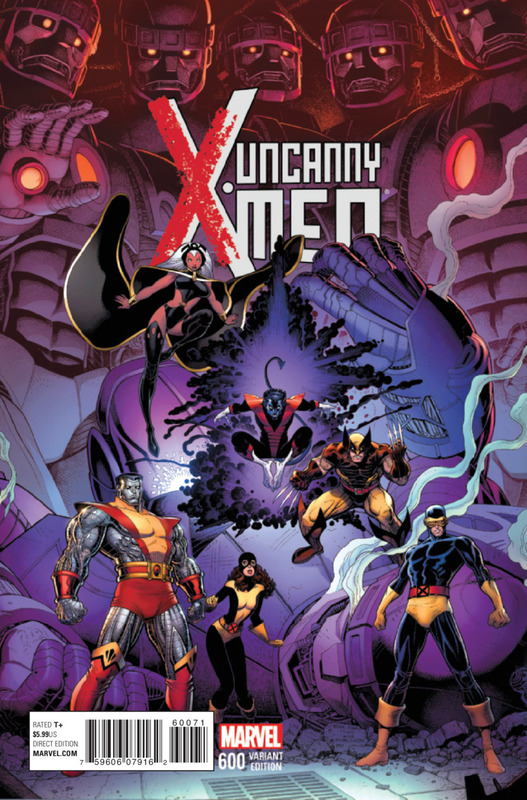 Leinil Yu’s cover image features members of both teams that spawned from the 1991 roster split between Uncanny X-Men and the then-new adjectiveless X-Men. 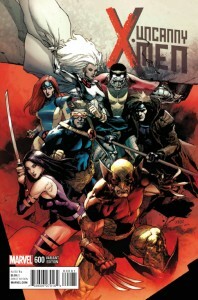 The X-line was at the dawn of major expansion at the time and hard as it is to believe now that was first new ongoing title with “X-Men” in the name after the original series started in 1963. This cover features Gold Team members Jean Grey, Storm, and Colossus, side by side with Blue Team members Psylocke, Cyclops, Wolverine, Gambit. 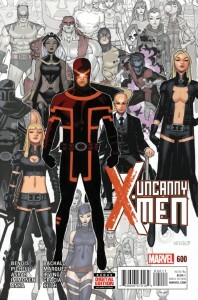 I’ve always had a soft spot for the original five X-Men: Cyclops, Marvel Girl, Beast, Iceman, and Angel. This is yet another great cover image featuring that group by another artist with a lot of X-history, Rick Leonardi, who worked on Uncanny X-Men in the late-1980s. 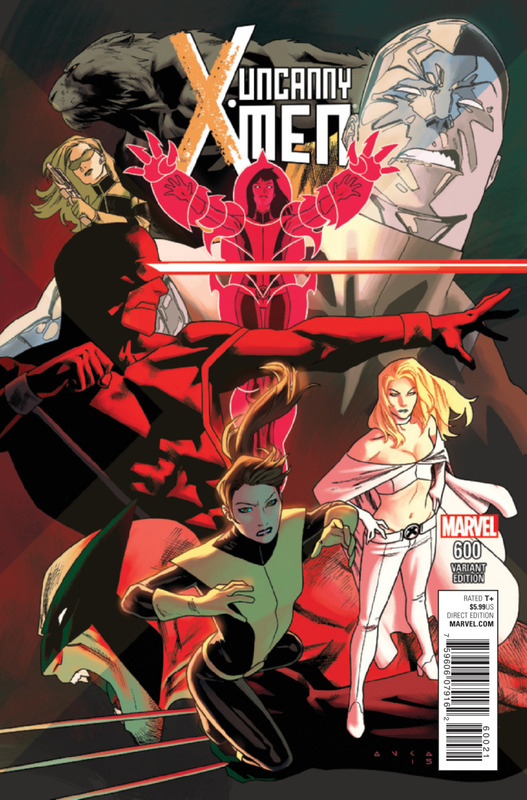 The original team stands to play a major part in Uncanny X-Men #600 as much of Bendis’ X-Men run has focused on the originals being pulled out of time to the present day. 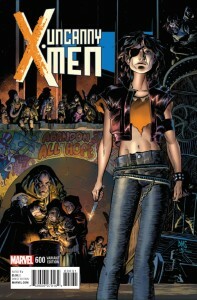 Unfortunately previews for upcoming titles have shown that their story will not be resolved as Bendis exits the title. 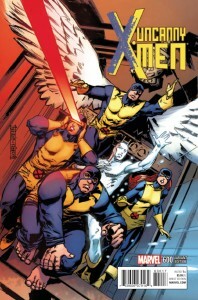 The Phoenix Saga is arguably the definitive classic X-Men story and the team at the time is who you see here: Nightcrawler, Wolverine, Storm, Cyclops, Colossus, and the Phoenix. Adam Hughes has turned in a vibrant homage to that story and era here. The color palette is remarkable, but unfortunately I find Hughes’ Wolverine a bit distracting as he’s more prominent in the image than the others as he’s lunging forward toward the viewer. 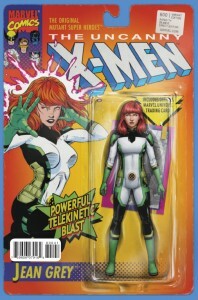 Hughes is no stranger to X-Men cover art as he’s provided images for a number of Classic X-Men issues as well as other variants over the years. 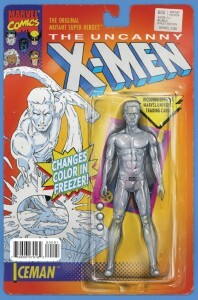 As with any of Marvel Milestone issue discussed here on MLD (i.e. a high-numbered-issue-compiled-from-multiple-volumes), we aim to challenge the publisher’s arithmetic and look at how exactly things add up. 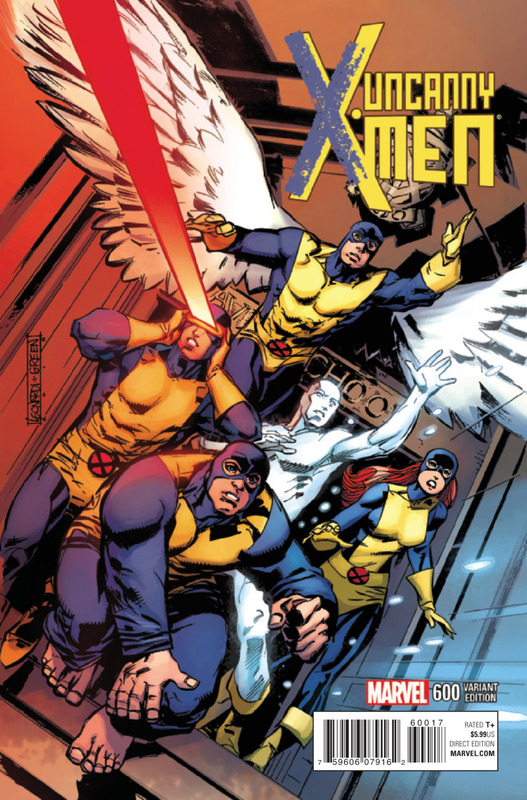 At times the numbers are challenging, but in this case of conveniently returning to classic numbering it’s actually quite simple to do the math across three volumes of Uncanny X-Men with no ancillary titles or one-shots thrown in to achieve a big number. 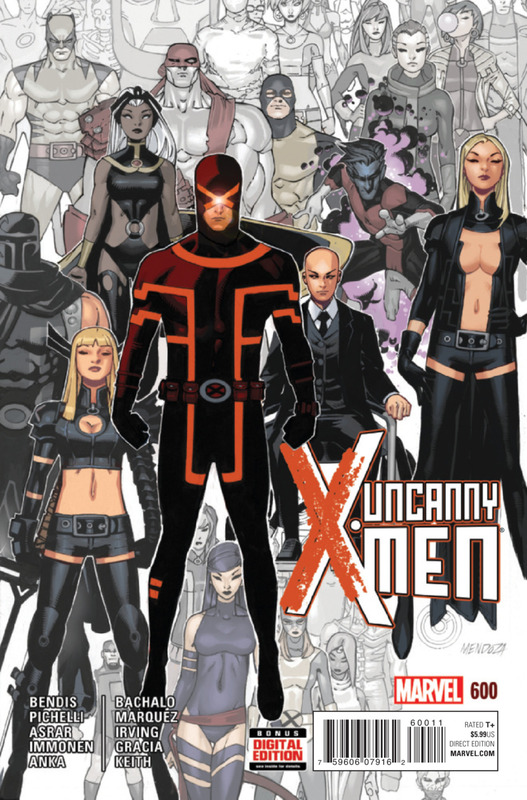 One minor complaint is that Uncanny X-Men #-1 from Marvel’s Minus One Month does not appear to be included in the run to 600 issues of Uncanny X-Men and it has been part of the count in other instances. Unfortunately, this cannot be a review of Uncanny X-Men #600 as I won’t be reading it until later today. It’s likely I’ll return with comments after reading the book, but for now I can say I like seeing a return to the original numbering however fleeting and self-serving it may be on Marvel’s part and I am certainly satisfied with the array of variant covers. A final note that can’t go unmentioned is that this book has seen some significant delays in getting to the shelf. This wouldn’t normally be an issue, but the story is set before the events of Marvel’s universe shattering Secret Wars which began in May of this year. It’s easy to say that this diminishes the impact of whatever events transpire, but to be honest it doesn’t really matter. Many comics suffer delays and nothing in the pages of Secret Wars stands to spoil what’s to come in this issue.